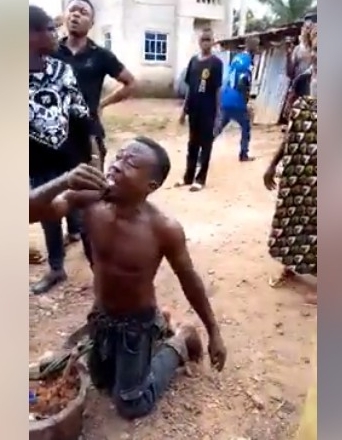 Many were left in shock after a man was caught yesterday morning trying to bury charm and other fetish items in someone's uncompleted building in Umuinem, Okigwe community in Imo state. An alarm was raised after the man was spotted as the villagers nabbed him immediately. 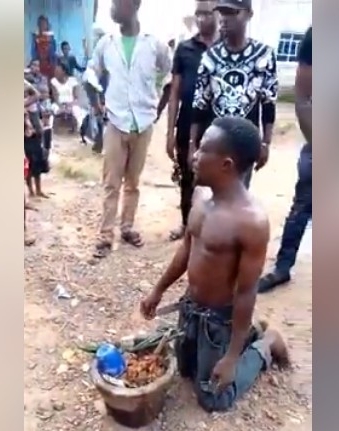 The youths partially stripped and beat him before he was forced to make confessions. An eyewitness Ugochukwu Favour who claims to know the suspect, stated that his mother and wife are also complicit in his evil works.